Here we have a stunning choker by renowned French fashion designer Louis Feraud. Feraud was most famous for creating the lush movie wardrobe of Brigitte Bardot during the 1950’s. This gorgeous signed necklace features his logo and the heart shaped pendant is suspended from a luxury silk cord. Signed costume jewellery of this calibre will be the must have antique of the future. INVEST HERE now, when it is still so affordable! CLICK on the photo for further details. 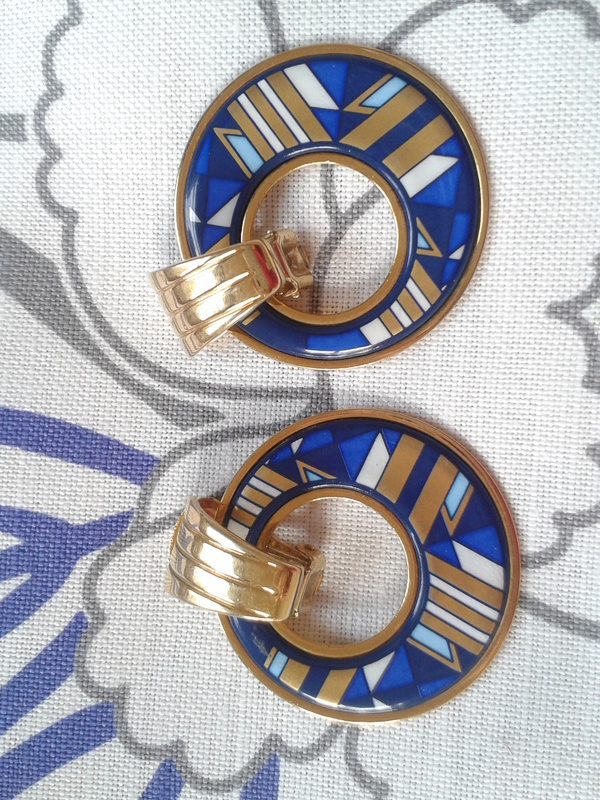 1950’s Italian micro mosaic ear clips. Yellow roses. Micro mosaic jewellery can trace its roots back to The Vatican. The recipe for the minute tesserae, or enamel shards used to make this magnificent jewellery is a closely kept secret in the Holy See. Centuries ago, in order to preserve the magnificent frescoes, which were sadly deteriorating due to the pervading damp, mosaic techniques were investigated in order to replace the artworks. 28,000 tesserae colours were developed to accurately replicate most of the Basilica paintings. By 1770, nearly all of them had been successfully copied in mosaic. Even now, tourists visiting St. Peter’s are often oblivious that the artworks they’re viewing are mosaic and not painted. Decades later, these skills were transferred to those making souvenirs for the noble elite on the Grand Tour. The vignettes were usually of classical subjects, temples, and doves being most popular. Fast forward to the middle of the last century and micro mosaic jewellery was being produced as gifts for tourists. You can buy these gorgeous Holy earrings here. 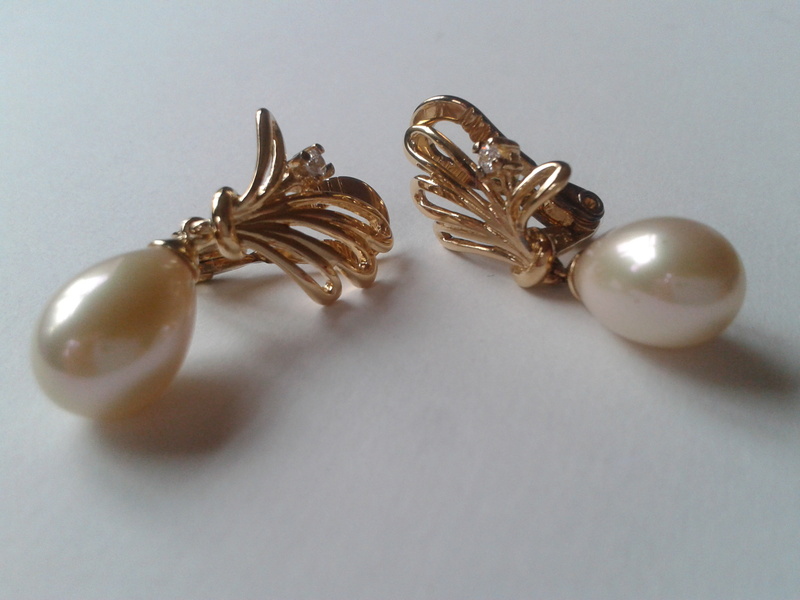 Vintage clip on earrings. About 60 years old. From the 1950’s – 1960’s. Beautifully made with cream and crystal clear glass bugle beads. So if you’re a would-be Betty Draper, or maybe you just enjoy the nostalgia of vintage, and hanker after a time when drinking, smoking, misogynist bigots roamed the streets, these lovely earrings are for you. “In May 2010, Miss Hendricks was voted “The Sexiest Woman Alive” by female readers of Esquire magazine. Two months later the size-14 actress, who plays the feisty secretary Joan Harris in Mad Men, was declared a role model by Lynne Featherstone, the UK Equalities Minister. Criticising the “overexposure” of skinny models, which she said was causing a crisis in “body confidence” among young women, the Liberal Democrat minister declared: “Christina Hendricks is absolutely fabulous. Cocktails and curves, and you can buy them by clicking on them! 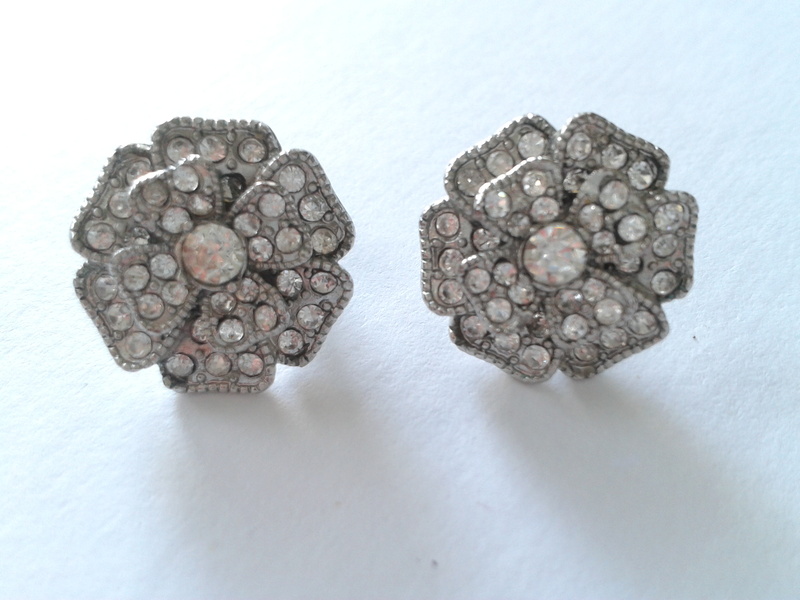 I am going to make you very happy with these gorgeous vintage daisy clip-on earrings. Some people clean their pearls in salt water. I like to swipe mine with a clean cloth lightly dipped in olive oil. Occasionally, I roll my pearls over my forehead. My make-up free forehead. Sounds bizarre. Works a treat. The natural oils in skin bring out the lustre of the pearls. Which is why pearls should be worn. They improve each time you wear them. Pearl earrings widen your smile, and actually make your teeth look whiter. millefiore – a thousand flowers – in an Italian butterfly – a gorgeous, rare piece, you can buy it here…. Then struggle no further my friends. Three pairs of earrings which are wow-tastic, unique, and won’t break the bank! All gifts come beautifully wrapped, and are posted free of charge. We guarantee you will be delighted! Check out my Ebay shop for lots of gorgeous present ideas! 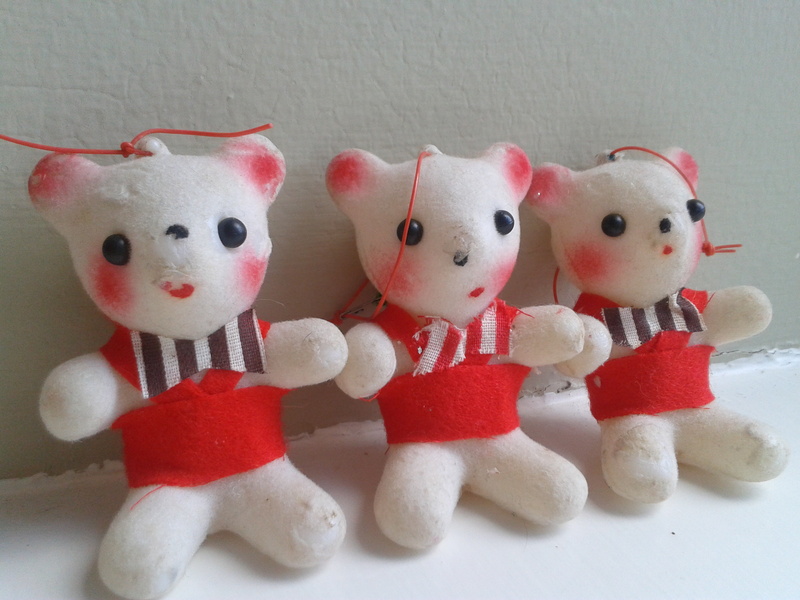 These 1950’s Christmas Teddy Bears are beyond cute. They are covered in furry flock, and have definitely seen some action. Back in their day Noel was a bag of nuts, a satsuma, and a new sixpence, if you were lucky! 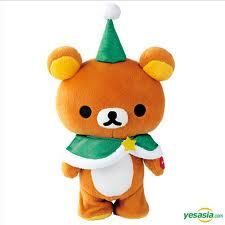 Are you having a vintage Christmas? 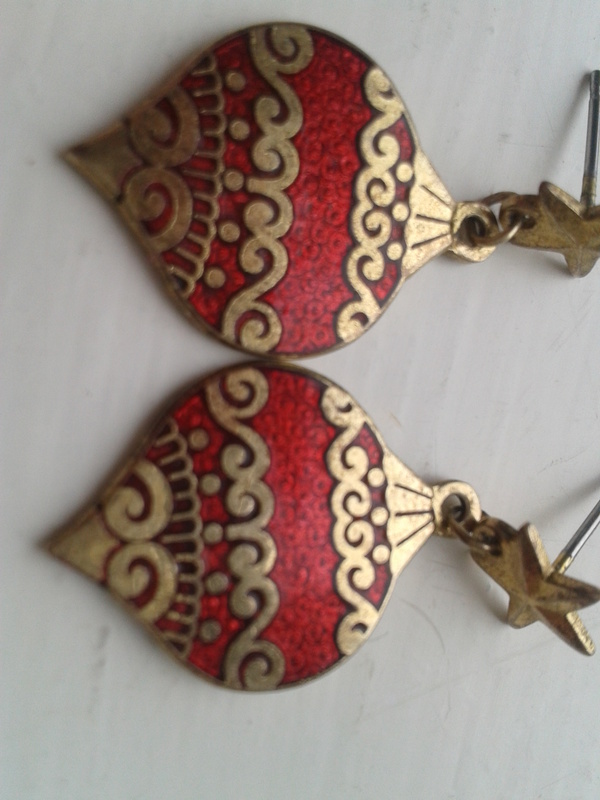 treat yourself, they will look fab on a tinsel tree. 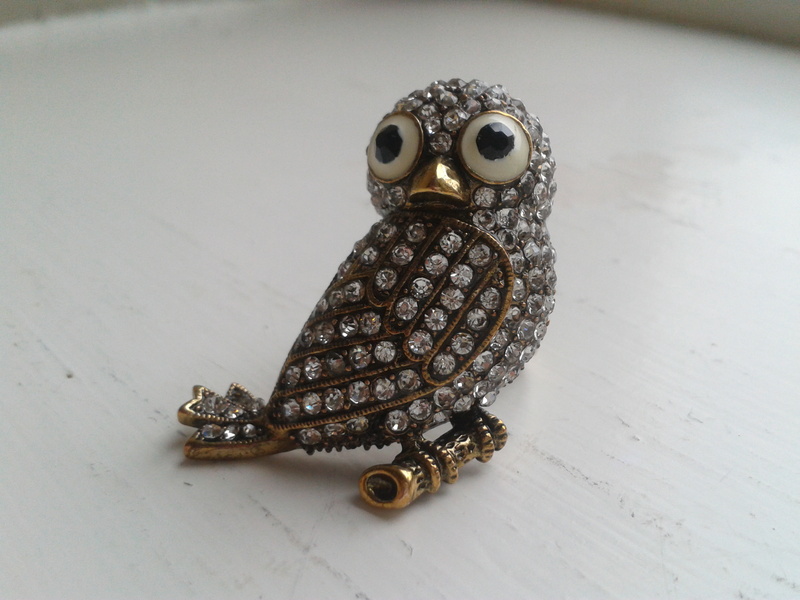 Gorgeous owl ring in sparkling crystals, with wide stary enamel eyes. He’s very cute, and the photograph doesn’t do it justice, he catches the light beautifully. He has an adjustable shank. Look at more photos here. 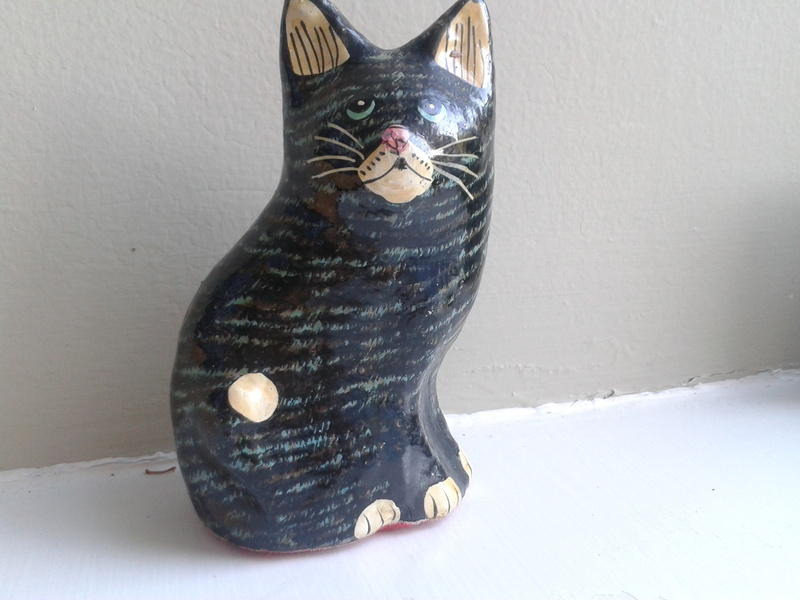 This little chap is a vintage papier mache cat from the 1950’s. He’s in lovely condition, and looking for a new home. Hopefully somewhere with owl. His new best friend. They can sail off into the sunset together…. Frey Wille makes beautiful enamelled jewellery, inspired by artists such as Gustav Klimt and Claude Monet. The company began life in Vienna in 1951 and now has 86 shops worldwide. Michaela Frey was an artisan designer who grew the company from a small workshop using Austrian folklore designs, and painting them on to fire enamel. Later on she produced designs for Hermes. These vintage Frey Wille earrings are available here. On this day, 5 years ago, the QE2 set off for her final voyage. She now lies in dry dock in Dubai awaiting her fate. It’s not a happy ending. Don’t tell teddy. He’ll only worry. He loved that ship. The QE2’s total power output was enough to light a city the size of Southampton. The QE2 could sail backwards (at a full speed of 19 knots) faster than most cruise ships could sail forwards. 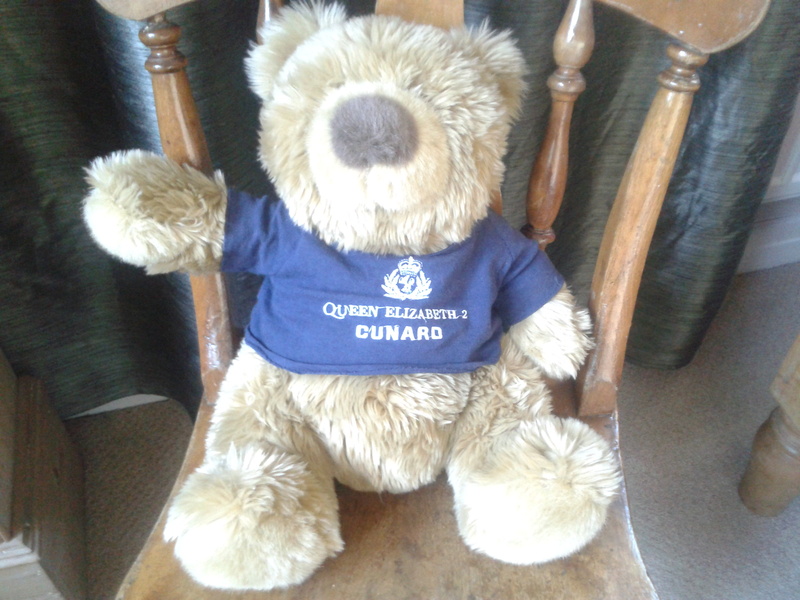 Cunard’s first ship, the Britannia, would have squeezed into QE2’s Grand Lounge. The amount of fruit juice used annually on board the QE2 would fill the ship’s swimming pools nearly eight times over. Beatrice Muller, from New Jersey, used the QE2 as a retirement home for 14 years, having paid around £3,500 a month for the privilege.